When KISS launched their 10-date ‘Sneak Attack Tour’ of Japan in 1977, legendary Japanese promoter Mr. Udo ensured that Japan’s biggest hard rock band would be the opening act on every date of the tour. But wait— Didn’t Loudness form in 1981? Could it be that there was another metal band from Japan? One that came BEFORE Loudness?? Yup. Bow Wow formed in 1975, and at the time they were invited to open on the KISS tour, they were already promoting their second (and best) album ‘Signal Fire’. While the ‘who was the first metal band’ debate will never be settled, it’s fairly safe to say that the first Japanese metal band was Bow Wow. Not the most successful; not the most well-known, but definitely the first, and because of that, perhaps the most important. Bow Wow blazed a trail that Loudness (and other Japanese bands) followed to much greater success… But Bow Wow was there first. First, a few words about Japanese rock music: Rock and Roll did not begin to permeate into Japanese culture until the 1960s, with the arrival of the Beatles, the Rolling Stones, and Bob Dylan. These influences were mixed with American folk music, psychedelic rock and even mod, and emerged as a Japanese version of Rock music called Group Sounds. To these ‘western’ ears, this is some of the most bizarre rock music I have ever heard. The 1970s were dominated by Japanese singer-songwriters, making the appearance of a band like Bow Wow, who emulated American and European Hard Rock and Heavy Metal, quite the anomaly. No, nobody died. It was much worse… Bow Wow’s next three albums, ‘Guarantee’ (1978), ‘Telephone’, and ‘The Glorious Road’ (both 1980), completely changed direction. Disco, Pop, New Wave, wistful ballads and even a stab at Rockabilly indicated a band desperately flailing for a new direction. The band abandoned English altogether, and began using 100% Japanese titles and lyrics. Bow wow had inexplicably left Hard Rock and Heavy Metal behind them. The pioneering continued, however, when the band became the first Japanese rock band to play ‘overseas’ when they performed in Hong Kong in 1978 and the Montreux Jazz Festival in Switzerland. When the NWOBHM finally hit Japan, another change in direction was suggested by new manager and renowned music producer Touru Yazawa. This guy saw big things in Bow Wow in their previous incarnation as hard rockers, and worked hard to get the band international exposure. 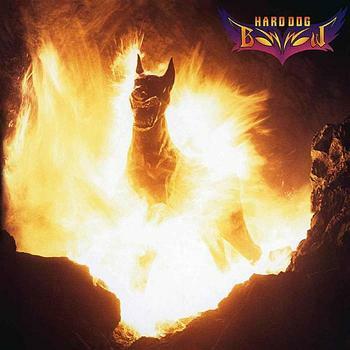 Step one was a switch back to Metal with 1981’s pretty-OK ‘Hard Dog’. ‘Asian Volcano’ and ‘Warning From Stardust’ followed in 1982, and after an appearance at the Reading Festival that same year, Bow Wow decided to do some serious roadwork outside of Japan and toured the UK with Hanoi Rocks. A headlining show at London’s Marquee Club was sold out, heavily covered by the UK rock press, and recorded. The gig was released as the ‘Holy Expedition’ lp. Then things got stupid again. Vocalist Mitsuhiro Saito left the band in 1983, and the band changed their name to Vow Wow to avoid confusion with the UK’s Bow Wow Wow… The name and line-up change signaled another change in musical direction to a more commercial, keyboard-oriented rock sound. Bye bye, Bow Wow. Vow Wow adopted the UK as their home base and began career building there, with some success. But something else had happened on Bow Wow’s European vacation… Another metal band had formed in 1981 back home in Japan, and by the time Bow Wow had become Vow Wow, this new band were making some serious waves. Enter: Loudness. While Bow Wow were ‘overseas’ establishing themselves outside of Japan and capitalizing on the recent surge in metal’s popularity in other countries, Loudness were honing their chops and building a fan base with their first three albums, ‘The Birthday Eve’, Devil Soldier’, and ‘Law of the Devil’s Land’. Each record was better than the one previous, ‘Devil’s Land’ being particularly strong. ‘Devil’s’ drew a strong international response, with positive reviews from outside of Japan and imports selling well in Europe, and so Loudness began their westward expansion campaign. The timing couldn’t have been better. Bow Wow had just lost their lead vocalist, changed their name and commercialized their sound (again!). 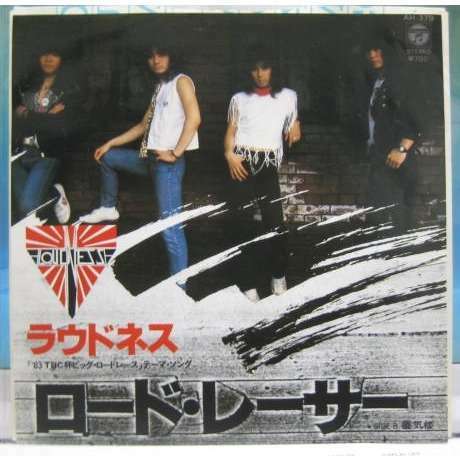 Following the trail that Bow Wow had pioneered, Loudness’ third single ‘ロード・レーサ’ (‘Road Racer’) was released in Europe in an English language version. Around the time that Bow became Vow, Loudness was touring America, which Bow Wow had never done. Fourth studio album ‘Disillusion’ was recorded in London in 1983 and released in Japan as “Disillusion~撃剣霊化” in January of 1984, with both English and Japanese lyrics. 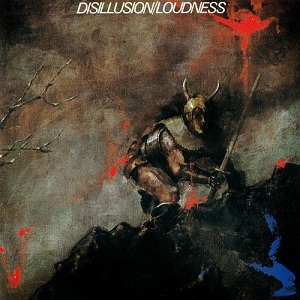 Loudness broke new ground themselves when an all-English language version of ‘Disillusion’ was licensed for a UK release by Music for Nations and in Europe by Roadrunner in July. The English version was also released in Japan…! Roadrunner re-released ‘Law of the Devil’s Land’ as-is in Europe. Any metal fan alive in the ’80s know what happened next: ‘Crazy Night’. The success of the previous two years led to Loudness singing a deal with US label Atco, making them the first Japanese rock band to sign with a ‘major label’. The band’s fifth lp ‘Thunder in the East’ was recorded in California and released in January of ’85, where it peaked at #74, making Loudness the first Japanese band to break into the Top 100. ‘Crazy Night’ (listed as ‘Crazy Nights’ on the album) was the right song at the right time; Heavy Metal of the more commercial variety was enjoying a popularity spike after Quiet Riot’s ‘Metal Health’ topped the charts in 1983. The novelty of the band’s nationality was certainly a factor in the song’s success, especially on MTv, but ‘Crazy Night’ and the ‘Thunder’ album were solid, radio-friendly ’80s Metal that packed plenty of punch. 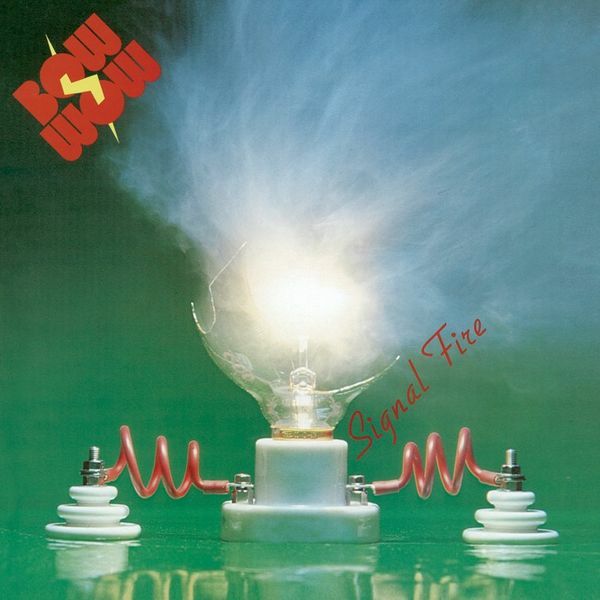 Loudness had done what Bow Wow set out to do: Take Japanese Metal worldwide. But, as history shows, along with major success, comes major label meddling… ‘Thunder’ was followed-up with by ‘Shadows of War’, released in Japan in March of 1986, and the first single, ‘Let it Go’, featured lyrics in Japanese. Stateside, Atco balked at the album’s title, nervous about invoking bad memories of WWII. Really?? The album was re-titled ‘Lightning Strikes’; also changed was the album’s former title track, now re-titled ‘Ashes in the Sky’. LS was released in the States in July, and charted even higher than ‘Thunder in the East’. So far, so good. What could go wrong? Here’s what: Because of their massive success in America, a backlash was brewing back home in Japan. To address this, Loudness released a Japanese language version of their next album ‘Hurricane Eyes’ for the Asian market. ‘Eyes’ failed miserably on both sides of the Pacific, peaking in the US at a dismal #190, and Atco promptly dropped the band. Loudness retreated to their homeland and released the Japan-only ‘Jealousy’ EP, hoping to appease unhappy fans crying still sell-out. Next, producer Max Norman arranged for the band to be re-signed to Atco… but only if vocalist Minoru Niihara was replaced with a vocalist more familiar with English. If the band’s Japanese fans were upset about all the attention their homegrown heroes were giving to America, how would they feel about Niihara’s Connecticut-born replacement? Nonetheless, Niihara was out, and American singer Mike Viscera was in. Can you say ‘Kamikaze’? 1989’s ‘Soldier of Fortune’, the first Loudness album without Minoru Niihara on board, was released on Atco in the US… and failed to intrude upon the Billboard charts. How about ‘Hari Kari’? Eight of the ten songs on the second Viscera-era album ‘On the Prowl’ were ‘cover versions’ of songs from the first four Loudness albums, with new lyrics written by Viscera. Another commercial (and dare I say artistic?) failure. Dropped by Atco once again, Loudness would spend the next decade fading from international view, and focusing solely on the Japanese market. My listening recommendations come with some qualifications: On their ‘metal records’, Bow Wow titled their songs in English (resulting in some amusing titles like “James in My Casket” and ‘My Dear Alarm Clock’), but their execution of English highlighted a major hurdle: Any singer who is not fluent in the language of his lyrics can be an awkward listen, but he differences between the English and Japanese languages are particularly significant. This is more of an issue on Bow Wow’s second set of metal albums, by which point Mitsuhiro Saito had actually begun to learn to speak and sing in English, than on their first three, where he was reciting English lyrics phonetically and successfully emulating the standard western rock vox delivery. Bow Wow’s struggle with the English language was probably the primary issue that ultimately held them back from true international renown. That said, second album ‘Signal Fire’ is their finest moment. Coming just 3 months after their debut, and immediately after opening for Aerosmith on their first tour of Japan (hey, there were no other hard rock bands for the American heavyweights to chose from! ), SF displays a mastery of mid-’70s metal tropes, a high-energy vibe, and chops to burn. On ‘Signal Fire’, Mitsuhiro Saito’s vocals are at their most convincing and natural, and as a guitarist, I’d rate Kyoji Yamamoto’s guitar playing in the same league as any of the big name axemen of the era— seriously. In fact, I’d rate ‘Signal Fire’ as one of the best HR/HM albums of 1977. Loudness had zero issues with languages and lyrics. Singer Minoru Niihara was a vocal dynamo, attacking lyrics in both languages with gusto and rendering the entire language point moot through the natural power and charisma in his voice. Guitarist Akira Takasaki picked up where Kyoji Yamamoto left off, and quickly developed into an 80s guitar monster, spewing out a crazy amalgam of Gary Moore, EVH and Ritchie Blackmore via a unique guitar sound. Loudness started off sounding like a NWOBHM band but without the punk, and quickly grew into a high-energy neo-classical powerhouse. They wrote and played with authority, exhibiting a complete command of early 80’s metal. Their best? 1984’s ‘Disillusion’. Hands down. ‘Disillusion’ is a GREAT record. 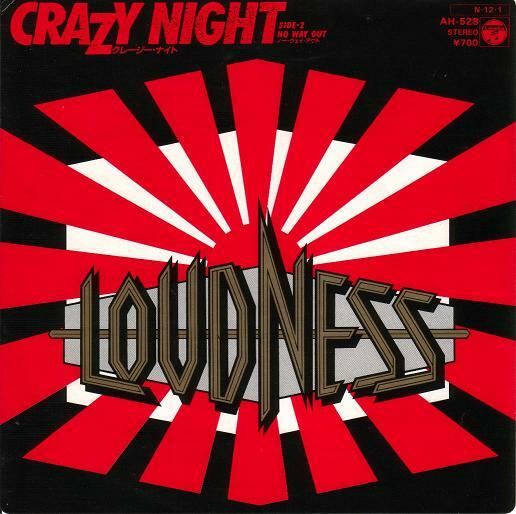 Loudness came into their own here; while the band’s influences are obvious on previous records, with ‘Disillusion’ they elevated their sound into something unique and compelling. It’s the last album by Loudness before American ‘commercial considerations’ entered the picture; it’s heavy as hell and it rocks hard. Amazing chops, powerful performances, a stellar batch of high-energy tunes, and an excellent recording engineered by Julian Mendelsohn (Yes, Elton John, Jimmy Page, Bob Marley!) all add up to a killer listen. So listen! I’d grab the English version, but only because it has an extra song: ‘Anthem (Loudness Overture)’. For both of these bands, it was a matter of timing. Bad for Bow Wow; good for Loudness. The international success that Loudness attained was significant (if brief); significant enough that when most people think ‘Japanese Metal’, the first and likely first thing that comes to mind is “M.Z.A.” …er, I mean Loudness. But would there have been a Loudness if it weren’t for Bow Wow? Alas, Japan’s first Heavy Metal export will have to forever settle for historical importance, footnote status, and trivia question obscurity: The price a band pays for being so far ahead of its time.